I was reading a mystery novel yesterday and to describe one of the detectives they used the phrase “Not just a fashion plate, but and entire place setting” and I just had to share it with you. Where have I been? Actually, my muse has been tormenting me until I wrote several CSI: NY fan fiction stories (I was a fan of the show before the SL epidsode). If you want a link to them just ask me. Anyway, on to the photo. Now you’ve done it. L$50,000 to the American Red Cross. Delfina of SL Shopping Guide broke the 50K. So this post is brought to you by RUTH. She’s showing off Amaretto’s New Victorian Necklace. Like the dress? Lux Yao of Amaretto has this out in her booth at the Jewelry Expo as a freebie/dollarbie (I can’t remember if it is L$0 or L$1), but it’s more than worth that. And the pearl studs are from Sub Rosa which I found at the Jewelry Expo as well. 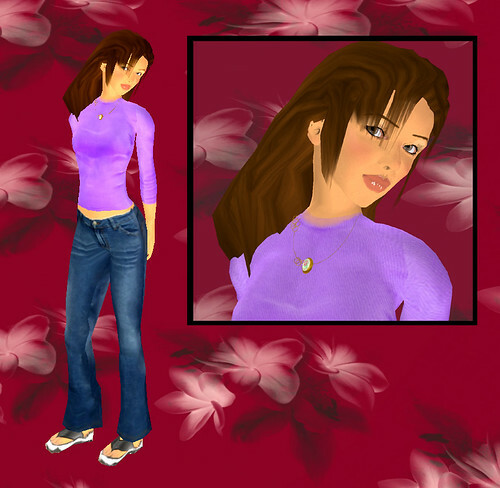 You are currently browsing the Lux Yao – Amaretto category at SL Fashion Notes.